This entry was posted on Monday, April 10th, 2017 at 11:16 am	and is filed under . You can follow any responses to this entry through the RSS 2.0 feed. You can skip to the end and leave a response. Pinging is currently not allowed. 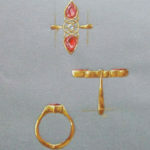 Opals of gemstone quality usually contain 6% to 10% water. 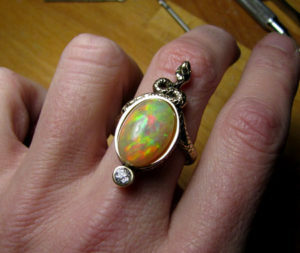 … Precious opal is identified by the defining “play of color,” or the way in which colors change within a particular stone as it is rotated and tilted. The “fire opal” is a transparent or translucent opal ranging in color from yellow to orange to bright red.